Jersey’s inshore lifeboat followed up on reports of debris in Bouley Bay, which is in the north of the island, but failed to find anything. 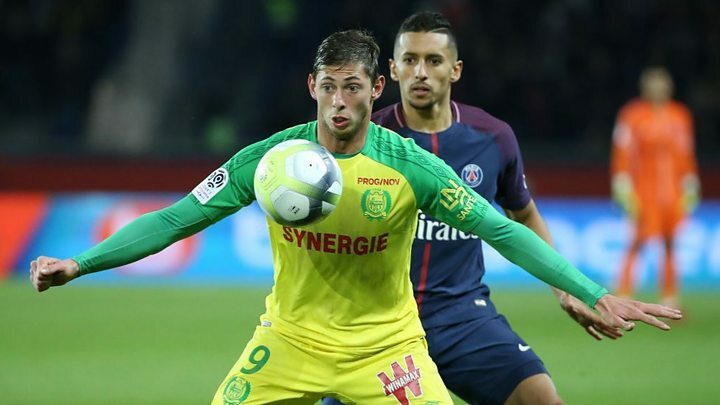 Meanwhile Sala’s father Horacio told Argentine media on Tuesday: “The hours go by and it makes me think of the worst. On Tuesday evening, football fans in Nantes laid flowers at a fountain as a tribute to Sala and Mr Ibbotson, with floral tributes also left at Cardiff City Stadium. Julian Bray, an aviation expert and journalist, said the aircraft was a single engine, six-seater plane. He said he had listened to the WhatsApp recording by Sala and “was particularly listening to the engine sounds and I must admit it sounded slightly ropey – it didn’t sound as smooth as it should be”. Mr Bray said the request to descend by the pilot could have been due to an issue with pressure onboard the aircraft, which did not deviate from its course. He added: “They’re [the plane] equipped with life jackets, but I’m not sure whether this one had life rafts on.